Once again, India is under pressure from the US to revise its patent law. Anyone familiar with the activities of the United States Trade Representatives (USTR) would know that this is nothing new. It has been among the USTR’s primary mandates to use trade restrictions in order to persuade (to put it mildly) countries to strengthen their IPR laws. There is, however, a qualitative difference between the actions it has initiated in the past and its current intent to persuade India to change its IP laws. This time, the USTR is putting pressure on India to weaken its IPR laws so as to make it compatible with patent law in the US, which allows ever-greening of patents through smaller inventive steps. The motive behind USTR's latest move is clear, that is to ensure greater market mainly for US pharmaceutical innovations, most of which, by the USFDA’s own admission, do not provide major therapeutic advancement. In 2012, for instance, such drugs constitute around 80% of New Drug Application submitted to the USFDA for approval. 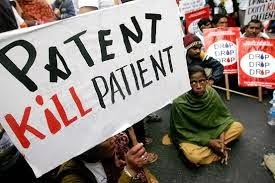 Homogenising patent laws across countries, with such narrow inventive steps, would kill incentive to innovate major therapeutic advancements, which is clearly not in the best interest of patients, particularly those who are suffering from life-threatening diseases such as cancer, and AIDS. In addition, this pressure by the US government also demonstrates an attempt to promote a unilateral concept of what is TRIPS compatible, ignoring the multilateral wisdom, agreed on by all the WTO signatories, which granted individual countries flexibility to determine inventive steps in their respective patent laws. Opposition to this move is, therefore, important to keep the sanctity of multilateralism alive. In general, beyond pharmaceuticals and biotechnology, patent's role in incentivising innovation remains suspect. Few days ago, however, a national newspaper carried an opinion by the head of an international agency that strengthening the patent laws is the panacea for India to avoid the slip it has witnessed last year in the global innovation ranking. Interestingly this claim was made without any data on India’s ranking on patents. A quick glance at the International Property Rights Index (IPRI) prepared annually by the Hernando de Soto Foundation would reveal how simplistic this claim is.As per the report, India’s ranking in terms of patent protection (with a score of 7.5 on a 10 point scale) is 38th, while Brazil’s is 50th. Yet, Brazil ranks 61st in the global innovation ranking, while India stands at 76th. Similarly, Russia stands 43rd in patent ranking (5 place lower than India). In global innovation ranking, however, Russia is placed 49th- 27 place higher than India. Several such anomalies are visible even among the top ranked countries. For instance, France ranks 3rd in terms of patent protection, while 22nd in global innovation ranking. Similarly, Japan ranks 3rd in terms of patent protection, but a much lowly 21st in innovation ranking. On the other hand, UK occupies second position in global innovation ranking with 12th ranking in terms of patent protection. Israel, ranking 30th in patent protection ranks 15th in innovation ranking. In other words, a simplistic view that asks exclusively for strengthening (further) patents for a country’s innovation capability ignores what is well known among innovation scholars; that innovation ecosystem of a region/country depends on complex interactions among various agencies, the risk taking attitude of private industry, funding on education, and several other factors. IPR is only one among many factors in that innovation ecosystem, that too with unclear contribution. In such a scenario, over emphasising the significant of IPR drifts our attention away from the more serious problems facing the country. In a recent research, Patra (2014) compares the route to foreign direct investment in ICT for India and China. While most of the FDI to Chinese firms take the form of joint research venture, in India FDI buys out domestic firms. This result can be interpreted to mean that Indian business owners prefer selling out for quick returns rather than making long-term investments in R&D, beyond a moderate scale. Newspaper reports also attest this proposition. Research reports have highlighted that transfer of technologies from CSIR laboratories to industry is often hurt by factors such as lack of mutual trust and industry’s preference for proven technologies from abroad, which patents alone will be unable to solve. The over emphasis on patents also takes a biased view on the discourse on technology generation and innovation taking place in big firms. It pays to remember that 90% of India’s labourforce is engaged in small firms and informal sectors. National Innovation Foundation of India in recent years has admirably showcased many innovations by grassroot individuals, many of whom may not have heard about patents in their lifetime, and the lack of patent protection has not deterred them from innovating and raising productivities in their small manufacturing units. Yet, the recent Science Technology Innovation Policy 2013 makes on mention on how to incentivise such innovations, which have tremendous potential for improving the lives of common people. Incidentally, however, the government of India has set up yet another think tank to “draft policy on IPR”. A crucial point with such attempts to draft and redraft IPR laws and institution is its resource intensity. These days, governmens of developing countries are spending massive resources to build internationally compettitive institutional capacity of IPR. The report of the Commission on Intellectual Property (2002) cited an UNCTAD report to point out that Chile spent US$ 718,000 to improve its IP infrastructure in 1996 with a recurring cost of US$ 837,000. Similarly, Egypt calculated its initial cost to be US$ 800,000 with annual recurring costs of US$1 Million. Bangladesh had anticipated one-time cost of US$ 250,000 for drafting legislation on IP. It required another US$1 million in annual costs for upgrading judicial work, training and costs of equipment necessary to develop the IP infrastructure. The available secondary data reveals that Pakistan increased its budgetary allocation on IPR by US$ 0.4 million, while revenue from IPR declined by US$0.5 million during 2006-2009. During the same time its budgetary allocation on health dropped by 0.7% of GDP, and the share of GDP on education did not increase at all. India too has already spent huge money on building its IPR infrastructure, data regarding which is not readily available.The authors suspect such draining of resources from priority sectors such as health and education to building up IP infrastructure has become a regular phenomenon in many developing countries. This may adversely impact the already-worsening situation around human development indicators in these nations. Note that India ranks 135th, Pakistan 146th, Bangladesh 147th, and Egypt 110th in the latest Human Development Report; much worse than their rankings in IPRI. Definitely, there seems to be more than moderatejustification for active intervention from the policy makers, to wither away the current pressure on our IP laws, and, eventually, the current trend of thinking on the issue of IPR. India should lead the way. See, for instance, http://www.fda.gov/downloads/aboutfda/centersoffices/officeofmedicalproductsandtobacco/cder/ucm331454.pdf. Last accessed on 2 December, 2014. See, for a review of relevant studies, Bhaduri S (2008), Patenting biotechnology. In Patzelt H and Brenner T (eds.) Handbook of Bioentrepreneurship. Springer. Available at internationalpropertyrightsindex.org. Last accessed on 1 December, 2014. China ranks 14 place higher than India in terms of patent protection, but almost at par with India in terms of overall IPR protection, and a huge 50 place higher in innovation ranking. Patra SK (2014) Innovation network in IT industry: a study of collaboration patterns among selected foreign IT firms in India and China. In: S. Chakraborty and A Das (Eds). Collaborations in international and comparative librarianship. ALIS. See, for instance, “The great Indian home grown brand sale” by Vinay Kamath in BusienessLine, 27 October 2013. Last accessed 1 December, 2014. See, For instance, Ray, A (2003) A study of R&D Incentives in India: structural changes and impact. Research Report submitted to DST. Government of India. Fayaz Ahmad Sheikh, a research scholar at the Centre for Studies in Science Policy, has written a fantastic review of the policy highlighting these lacunae in the approach of the policy makers in Current Science early this year. At the same time, the prospect for earning revenue from patent remains bleak in most of these countries, due to low inventive capacity and low demand for new products. Some countries, including India, have recently shown a net positive balance mostly due to earnings from trademarks.